Hey, this is Spencer…I wanted to provide a quick introduction to this post. 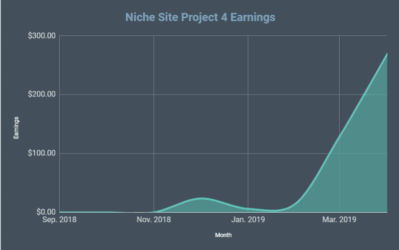 Besides the big news that Perrin and Colleen reveal the domain of their niche site today, there have been some big changes at Niche Pursuits as well! As many of you know, Perrin has been an employee of mine for couple of years. Well, I'm happy to announce that Perrin is now a full-time entrepreneur! Perrin is no longer a full-time employee of mine and I'm thrilled to see that his niche site business is doing well enough to support him full-time. Perrin was able to help in lots of different areas in my business over the past couple of years. Perrin will still complete the Niche Site Project 3, but other than that he won't be working for me or be involved with any projects going on at NichePursuits.com. 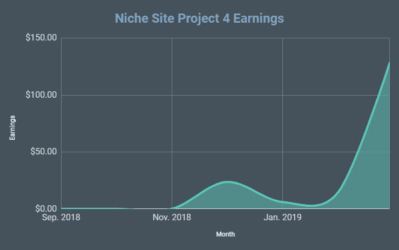 It's pretty exciting to see how far Perrin has gone from knowing almost nothing about niche sites at the start of Niche Site Project 2 a couple of years ago, to now supporting himself full-time from one of the niche sites that he built. He's been able to accomplish alot and is a huge success story for the process we teach here at NichePursuits.com. Join me in wishing him the best of luck with his business ventures in the future! And a note from me (Perrin)! Yep… it's been an awesome ride, and I can't thank everyone enough for this fun, life-changing experience–especially Spencer! But various aspects of my business have been growing for the last couple of years, so it's a good time to take the plunge. What will I be doing? My time's going to be split, actually. I'll be growing my site, offering some consulting, and blogging at Authority Hacker. I'm also considering offering a B2B service I've been kicking around for the last 6 months or so. Who knows! Anyway, it's super exciting, and I'm having a lot of fun so far. But again, thank you, thank you, thank you for hanging out with me here the last couple of years. You guys rock! Hey guys! Perrin here! Today is a pretty big day. We’ll finally be revealing the site Colleen and I have been working on for the past couple of months. Of course, I’m not going to do it at the beginning. Where’s the fun in that! In all seriousness though, let's take a few minutes to talk about what Colleen’s been up to and to give you some insight into another link building tactic we’ve been having success with. So what has Colleen been up to? For the most part Colleen has been hard at work building links! And, guys, she’s been absolutely crushing it. She’s been mostly guest posting, and she’s been having a lot of success. In total, Colleen has built a whopping 37 links in the past four weeks. That is a lot. Especially for a white hat campaign. Why has she been building so many links? Mostly because our site’s strategy is very focused on link building. If you remember our previous calls, you’ll know that we only wrote 40 articles for the site, and after that, we have focused almost entirely on building links. There are a lot of different philosophies in the SEO world, but I strongly believe a good link building campaign is essential to a site’s growth. It hasn’t all been guest posting, though. Actually, it’s not that new; it’s been around pretty much forever. I’m talking about links and resources pages. Links and resources pages are basically exactly what they sound like: a list of good resources on another site. By far the biggest benefit of these pages is that they are built specifically to link out to other sites. Generally, that makes it a fairly easy sell when you reach out to these people and try to get a link. We’re not going to share our exact email script, but honestly it's very simple: you find the page, email the webmaster, and ask for your site to be included. And that’s it! It is a bit of a grind, though. For example, when we were trying to find these pages we found hundreds of targets. That is a lot of research. Additionally, these types of pages typically don’t convert as well as other link building methods. When I reach out to these pages, I usually convert at about 1.5%, and Colleen — who apparently writes absolutely killer outreach scripts — converts somewhere between 3% and 4%. See you do the math. If you want a couple links, it’s going to take a whole a lot of emails. So why are we even using this tactic at all? Mostly because we want to mix up our link building strategies, and this particular type of link building has very different benefits than guest posting. The thing I really like about guest posting — and what we found as we’ve been going through our link building campaigns — is that it converts much better than almost any other link building tactic. Some of our guest posting campaigns have converted as high as 30%. If you’ve done any white hat outreach at all, you’ll know that that is a very, very strong conversion rate. The downside of guest posting, of course, is that you have to produce a whole bunch of content. So if you secure five links you essentially have to write five articles. And that can really add up. It’s also just tiring to have to write that much. Plus, as Colleen mentions on our call today, it’s easy to feel like you are “wasting” content on somebody else’s site. So, we wanted to find a link building tactic that didn’t require Colleen to write so much. 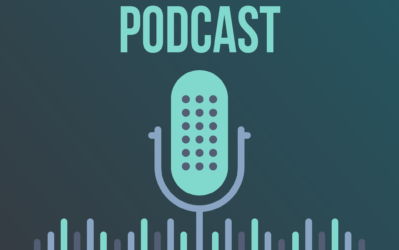 Of course, there are hundreds of different link building tactics out there, but because Colleen is still somewhat new to SEO, we want to shoot for something simple. And links and resources pages link building is very simple. That said, it certainly has different pros and cons. In fact, it has opposite pros and cons. Here’s what I mean. Links and resources pages outreach does not convert nearly as well as guest posting. To get three or four or five links, instead of sending 20 emails you may have to send 100 or 150 emails. Obviously, that’s a bit of a grind. However, the major and obvious upside is that you don’t have to create content. If you secure a link, it simply appears on somebody else’s site and starts boosting your rankings. Are these the only tactics will be using? Of course not. When executing a link billing campaign, you really do want to use at least a few solid link building tactics. So far, we’ve only used two. So will probably add some more, but right now these are working for us, and they are yielding very strong links. So we're happy! Okay are you guys ready? I’d like to introduce you to… Coustii.com! This is the site Colleen and I have been working on for the past few months, and we're honestly very proud of it! For the budget on which it was created, it looks really good, and it seems to be showing some early signs of success. We go over the site in detail in our coaching call, and I’m sure you guys are going to head over there and turn apart, but I do want to quickly know just a few things before two. Also, a quick note on why we're not linking to Coustii.com from NichePursuits. Nothing exciting, really. Mostly, our strategy is very link-building focused, so we just want to see how far we can get on our own. 1.The site has a strong authority angle. Hopefully, this is one of the first things you notice. The site is built to grow. It is not just an Amazon site. It’s not just a social site. It’s not just a display ad site. It’s built with flexibility in mind, and eventually we hope that this site will have many different traffic and revenue streams. I strongly, strongly believe that this is the way to go nowadays. We said this at the beginning, but we want the site to evolve into a small business that provides Colleen with a sustainable, passive income. You don’t do that with a small niche site. 2. It’s not all affiliate content. If you look at the front page of our site, you probably won’t find any affiliate content. Why? Because affiliate content is not the focus of our site. Sure, it is part of our site. But it’s not the point. The point of our site is to provide an actual, real, useful resource about guitars and ukuleles for people who want to learn about guitars and ukuleles. That’s the first and most important goal of Coustii.com. Do we hope to make money with affiliate revenue? Yes. Is affiliate content on the site? Yes. But we’re only using that as a launch pad to create something much bigger and with much more diverse revenue. So far, is going really well. If you want to see exactly how well, be sure to check out the video, where we run through all of the early data including traffic, keywords, and even our link building spreadsheets. Overall, we’re super excited, and I’m very proud of Colleen. The early signs are good but we are just getting started. There is a lot of work to be done. It’s very important not to let off the gas now. So, instead of seeing the early signs of success in taking a break, Colleen is doubling down on her link building efforts. And hopefully, in another month, will be able to show you some even more exciting stuff (like real earnings). If you prefer to listen to the audio only, you can download it here. Ha **great** piece! Small typo at start though, end of this paste…..
Do you noticed that video have no sound? Audio is missing, but there are some real deviations from a regular affiliate site that are very interesting. 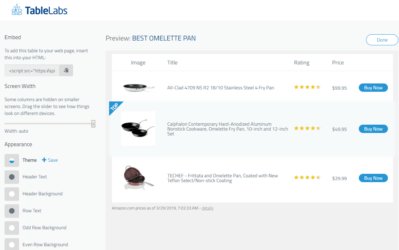 – Even when you DO link out to Amazon, there is no affiliate code – is this intentional? Towards the end of the video there appears to be some really golden tips for new affiliates, with no sound its a little cryptic though lol. Re: the Amz ID: we haven’t put it in yet, but we will when there is traffic. Amazon tends to scrutinize new sites, and they require you to make a sale in the first 3 months. We’ll add it when we have time. Excellent. Sounds great Perrin and way to go Colleen! Er, is the volume working on the video? You said “Perrin is no longer a full-time employee of mine and I’m thrilled to see that his niche site business is doing well enough to support him full-time. ” Is the website Coustii.com making that much to support him full time? I thought the website was new? This isn’t Perrin’s income generating website it’s Colleen’s website. Perrin is just her couch. Edgar, Coustii.com isn’t Perrin’s site. It’s Colleen’s site (she is Perrin’s student). This is the new site they’re working on together for the Niche Site Project. Perrin makes his money from his own site/s. I just tried watching the video… is there no audio with it? Please proofread your articles, as there are tons of errors that are likely from AutoCorrect. And a 35 minute video with no audio is excruciating. Also, no way to subscribe to comment updates? I see everyone else here has the same issue of no audio. You may have already explained it but where do you source your images from? Some catchy images on the site. Unless that’s also a secret, like your email script to webmasters. If this is a site to learn from, I’m curious why something like an email script is kept as a secret? Images are stock images. You can get any old stock image account and usually get them for less than $1 each. 2. People will copy and paste it until every webmaster in the world has seen it. Sadly, some people think learning from a site = copying everything exactly. “Colleen — who apparently writes absolutely killer outreach scripts” when talking about the email script for a resource link. That’s why I was wondering what the script looked like. Sounds like it did matter quite a bit in obtaining those links. If it’s not a spammy type of email script and it’s genuinely offering a quality website as an extra resource for the webmaster, I wouldn’t think it would matter if a webmaster happened to see this email script before. No worries though. I’ll keep plugging away. Thanks for the great write-up. Resource links are often overlooked so I’m glad you mentioned it here. I DO think it helped that her scripts were on the short side, though. Can you explain where you are getting these $1 stock photos? All I ever seem to find is $10 ones. You can get them for less than a collar on canstockphoto.com. Also, Perrin, congrats on the full-time! May I ask what sites are supporting your move to full-time entrepreneur? Great work all around! Ha. Lisa, we mention in the call we’re not revealing the theme. Mostly because people get SUPER hung up on themes, and then 100 different replicas pop up all over. It’s just annoying, and it doesn’t matter much. Every single site I’ve ever built has been on a different theme, and they all work just fine. Just pick something you like! If you want to know the theme, just look up the source code of the site. It is in there. Theme costs $49,- on themeforest. That is all that I will say about it. Great site though. Looks pretty professional. The niche is quite broad and common. I thought that you would pick a more ‘hidden’ niche rather then an obvious niche such as guitar. The name of the theme is chapter by wellthemes. Its a very great theme with a great dedicated support. I knew it! Colleen’s site looks awesome. Congrats to both of you. Perrin, even though I think it’s sad that you leave NichePursuits I’m looking forward to more awesome stuff from you over at AH. Are all your links from high DA sites? There’s a wide, wide range. That’s the nature of white-hat outreach. You can see all the DAs of our links in our link-tracking spreadsheet in the video, though. The site looks attractive and the topics are also good. One thing I didn’t find (or missed) was email capturing feature. Wouldn’t that be one of the major things on your site. FYI, I have missed some coaching calls of you and colleen but still felt this is something I noticed & wanted to enquire. Not doing that yet 🙂 We will at some point, but right now we have no traffic and nothing to promote! ALLLLL our energy is going to building awesome, white-hat links right now. Question: How thematic are you staying with your guest blog posts? I’d image doing that much volume and staying on topic could be fairly difficult. Great question. When I really started trying to hack my white hat outreach this year, one of the most important revelations I had was that in most niches, the sheer number of link opportunities is absolutely ridiculous. The internet is a BIG place, man! For my own site, I’ve emailed literally thousands of people without emailing the same person twice. For Colleen’s site, it was very, very easy to find several hundred prospects ONLY in her specific niche. After that, we just started reaching out to prospects in sub niches: folk music, jazz, guitar building, etc. 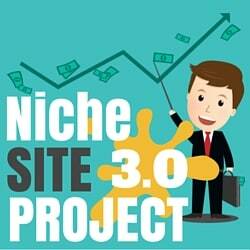 For every niche there are usually hundreds of sub niches. Add to that links and resources pages, broken link building, and other stuff like skyscraper, and any site in any niche should be able to send several thousand emails (over a year or two, obviously) without much of a problem. I think in some places you meant to write Colleen but instead you wrote calling. That got me a bit confused. Great to see that guest posting works cause that is the strategy I want to use on my site. Great post! However, there are some points that I can not understand “1.The site has a strong authority angle.” Does it look like the Amazon affiliate site regularly? And here: “It’s not all affiliate content.” I have some confusions for this. Wow.. nice to hear that you’re gonna take the next step, Perrin. Spencer has helped my business to flourish directly too for which I’ll always remain thankful to him. You know whom to reach when you need support staff for your new ventures. 5 links/week is not at all fishy. Even 20 links/week is not fishy. There are big agencies out there who will launch a site and build hundreds of links in the first month. Look at the link profile for Neil Patel’s newest case study site: nutritionsecrets.com. They are building INSANE amounts of links. Why’s it okay? Because they’re not spam. It’s all white hat. Where exactly do you build links to? I’m creating a piece of content that’s going to be a linkable asset – really informative and helpful. But what about affiliate promotions? You say in the video that they’re hard to build links to. So apart from passing juice to those pages via internal linking, how would you go about building backlinks? Basically anywhere OTHER THAN affiliate content. If you don’t have an asset, just guest post. You can point your links pretty much anywhere that is relevant. And yea; just use internal links to rank your affiliate content. Wow. Just wow. This look and feel of this site is just so far above what I imagined. I have yet to listen to the audio, but will be doing so tonight. You have changed my entire worldview on what is possible for a single person to create. This looks like a large and major site backed by a large company. I was wondering are you planning to eventually replace Perrin? If so, would you mind checking your messages from niche pursuits? when you ask to be included in the resources pages do you include them into a resource page on cousti.com? Not unless the site is just crazy good. Google frowns on reciprocal linking. If they REALLY want something, you can always offer to share on social media (I do this a lot with my own site). Great looking site. Congrats to you both. Congrats also to Perrin for taking that leap. I hope to do the same one day. 1. Many pages and posts of the site http://coustii.com have multiple H1 tags ? 2. What kind of anchor texts do you use for link buiding ? 3. You will not build the links directly to the money page ? You just build the links to other page ( example homepage ) and you will put 1 internal link ( on homepage ) point to money page ? 1. We need to fix that for sure. 2. Just natural. Most of it is branded. 3. Nope. No links to money pages. It’s just too difficult to build them (this is white hat outreach, and people don’t like to link to affiliate content). If you just use branded anchortext to build links for non-money page, so how do you rank for your money keywords in the money page ? Ha. Looking at the site, I thought Colleen must be an expert on guitars. Laughed when she said she was just learning. It looks amazing. Congrats! She did a lot of reading! She did really sound like an authority! Wow! Congratulations and thank you for inspiring everyone! Wow! This project has been so helpful and so much fun to follow! Colleen, your thoughtful research and strategy AND hard work is to be admired. I sure appreciate “the reveal” as it helps many of us see how the lessons come together. The site looks really polished; it must be SO satisfying to see it up and running. Very best of luck. Perrin – thanks for being such a great guide and very best of luck to you, too! Great work and best of luck! Site is really impressive and number of links, the site got in this short period of time is awesome. Please tell which theme you are using at this site and are you using thrive content builder. I really like the dynamic moving bar at the top where we can forward and backward see the different post and how different posts are showing dynamically with images at front page. I have a question regarding the amount of pages and affiliate links. I think your math is off, brother. About 1/4 of our content is affiliate content. Also, if some other informational article starts to do really well, there’s no rule that says you can’t recommend some related products there as well. We’re also starting with 30 articles Colleen wrote herself and about 10 articles @ $40/each. So we’ve only spent $400 on content. The links, we are 100% building ourselves. Lastly, it’s very possible for a good site to make $1,000/mo, or hopefully, a whole lot more! Even if you did spend $4,000, if you were building a smart site, you should certainly see a return before a year is up. And after that, it’s all profit. For me, and i guess for alot other,writing in english a good solid article is hard as i am not from the states. so i’ll have to base my articles on other writers so this is why i wrote 4000$. i remember you saying in some podcast that you want only 10% of the pages to be with affiliate link.,but you are right ,if some pages perform well you can always add links to them. I have a lst question for you: As you mentioned on the call,Link resorces are very old. Problem is that 5 years ago everybody were using this tactic so google started punishing sites and decreasing the value of this links to almost zero. from your experiance,did it change again and that is why you are recommanding it ? When you do outreach for linkbuilding, what email address do you use for sending those outreach emails? Do you just use your normal everyday email? Or do you set up a special account/email address just for linkbuilding outreach? You end up sending a lot of emails, possibly even mass email using software, so I wondered if you’d worry using your normal account about ending up on a spam list so you would use a new account that you wouldn’t mind losing so much. Also if you have multiple sites do you have separate emails for linkbuilding outreach on each site or use the same address? I use Google Apps. You can set up a branded email (@yourdomain.com) for $5 and then just use Gmail like normal. Do you set up a new one for each site you have then? Forgot to answer the other part of your question. Using Google Apps also increases your daily email sending limit to 2,000 recipients. And I actually only have one site (so it gets 100% of my focus), but if I started another, that site would get it’s own account, yea. Thanks for the explanation. I agree it doesn’t matter for the success of the outreach itself. But it may matter in terms of not getting an important email account of yours on some spam lists if you were to use a personal email of yours that you really need to stay clean. Setting up an email dedicated for each site you’re promoting solves that. Great job Perrin and Colleen! Kudos to Spencer for putting this project together! Really happy to see Perrin finally fully flying with his own wings now. Excited to see how further link building will play out on the project. Good luck! Good luck Colleen and Perrin. Great site. As a guitarist i found it informative, educational and i hope it does well. Tough competition but as you say, plenty of scope to expand and grow this site. You’re like the third guitarist to say that. 🙂 In my book, that’s a win! First of all great site, secondly I wanted to know this kind of niche requires some knowledge such as chords and other musical terms. How did you go about learning the topic and then writing about it? Great site. Congrats Perrin and Colleen. @Perrin, how many articles do you think we should build upfront before we can start outreach? We started with 40. Chris Lee, one of the most successful independent site builders out there and probably the best link builder by far, starts outreach after like 3 articles lol. Don’t overthink it. Just send emails. The site is awesome good. 1.Where do you find those link&resource pages? 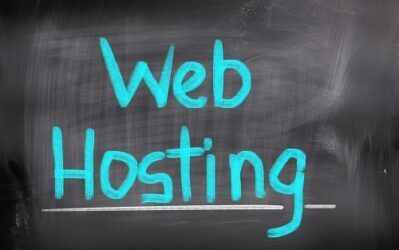 Do you give the website money or for free? 2.Do you build tired links for guest posts links? As I know a low PA link on a high DA is not powerful enough. We find the targets using advanced Google queries. And absolutely NO. No money for links. No tiered link building. This is all grey-hat stuff that can get you penalized. You mean the guest posts were free too? Then do you exchange links? I dont believe that a website will link to you only cauz your content is excellent. As duds on BHW said, tired links won’t affect your money site, but I am not sure. Do you think focus on low competition long tail keyword without any links still work? I find it is too hard to get a good rank now. Well done Colleen. A great site. Keep up the good work. It’s a great site. Congratulations! When I look at the new site, using my SEOquake brower widget, it shows the site with an Alexa Rank of 1.06M. I have a site that been doing average (maybe below average), but it’s been around over a year and has several pages in the top 5 for their keywords, and several more in the top 10. I haven’t done much link building for it. But, it’s Alexa Rank is 5.38M. I’m curious if you did something special to try and improve that ranking. My site is actually higher for SEMRush Rank (me 3.54M to 4.79M). So, seems strange that this site would be higher on Alexa. I’d love to know if you did something special. I suppose it could be the back links? Quick question for you two – let’s say Colleen continues to expand and grow her site. Imagine she found some really great keywords around giving piano lessons or even – I don’t know – starting a music venue. Areas that are kind of related, but not totally under the same umbrella. Would you start an entire new site, or simply expand your current site? More specifically, I am thinking – if you had a healthy eating website and decided you wanted to write some posts on weight lifting or crossfit, would you start a new site or expand the current site? website looks amazing! awesome work! Good question Megan. I’m hopefully about to start a site with a friend. The industry is huge but I think we’ll focus on a niche to begin with. I believe with his knowledge we could make a great site. But, do we leave room to grow (think site architecture) or specialise in this? It’s only me and him at the mo and I’d like to keep it small. So I guess we’ll see. Maybe completely new sites?